One of America’s biggest metropolitan areas has submitted to President Trump’s call for an end “sanctuary cities” — as the Mayor of Miami-Dade County has ordered his jails to comply with requests from federal immigration officials, according to a report. 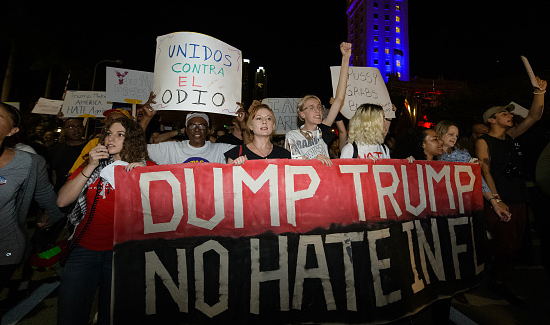 Mayor Carlos Gimenez said he made the move for fear of Trump’s executive order threatening to cut funds to “sanctuary cities,” according to the Miami Herald. “In light of the provisions of the Executive Order, I direct you and your staff to honor all immigration detainer requests received from the Department of Homeland Security,” Gimenez wrote to one of his top jail executives, the report said. The Florida county — which a population of 2.9 million — has never officially called itself a “sanctuary city,” though they have in the past followed policies similar to such cities as they have refused federal immigration requests to hold certain inmates in its jails.